6 February 2018 - InstantEye Robotics announced today that it has received an order from PMA-263, the Navy and Marine Corps Small Tactical Unmanned Aircraft Systems Program Office, for an additional 800 InstantEye Mk-2 GEN3-A0 sUAS systems. The systems delivered under this contract will support deployed Marine infantry squads, providing organic surveillance and reconnaissance capabilities. 15 December 2017 - MARINE CORPS BASE QUANTICO, Va.—Autonomy options for the Marine Corps have taken a major step forward, as officials at the Office of Naval Research (ONR) announced today a successful final helicopter flight demonstration with autonomous capability at Marine Corps Base Quantico, Va., part of the Autonomous Aerial Cargo/Utility System (AACUS) program. AACUS is a partnership between ONR and technology company Aurora Flight Sciences. 29 November 2017 - Advanced Aircraft Company's new HAMR VTOL conducted flight demonstrations for several US Navy organizations aboard their M80 Stiletto in the Chesapeake Bay. 27 September 2017 - Commander, Submarine Development Squadron 5 (DEVRON 5), held a combined change of command and squadron establishment ceremony at Naval Undersea Warfare Center, Sept. 26. During the ceremony, the Unmanned Undersea Vehicle Squadron (UUVRON) 1 was established, with Cmdr. Scott Smith, from Hartford, South Dakota, becoming its new commanding officer. 29 August 2017 - General Dynamics Mission Systems and General Dynamics Electric Boat demonstrated multiple mission command, control and communication capabilities connecting Bluefin Robotics' unmanned underwater vehicles (UUV) and a third-party provided unmanned aerial vehicle (UAV) with a simulated AN/BYG-1 submarine combat control center ashore. 23 May 2017 - L3 Technologies announced today that it has acquired Open Water Power, Inc. (“Open Water Power”). The acquisition was completed on May 19, 2017, and the terms were not disclosed. The business will be renamed L3 Open Water Power and will be integrated into L3’s Sensor Systems business segment. 9 March 2017 - Rafael Advanced Defense Systems completed a test firing demonstration using its Protector unmanned surface vehicle, or USV. During the demonstration, the vehicle conducted a series of launches with a variety of munitions, including the Spike missile. The event marked the first missile test firing with a fully operational, remotely-controlled Protector platform. 15 February 2017 - Logos Technologies and Insitu, a subsidiary of The Boeing Company, are proud to announce the successful initial flight test of the Redkite wide-area sensor aboard the Integrator small tactical unmanned aircraft. 6 February 2017 - In December 2016, Aurora Flight Sciences successfully tested a full-scale technology demonstration system that repeatedly captured a 400-pound Lockheed Martin Fury UAS accelerated to representative flight speeds via an external catapult. 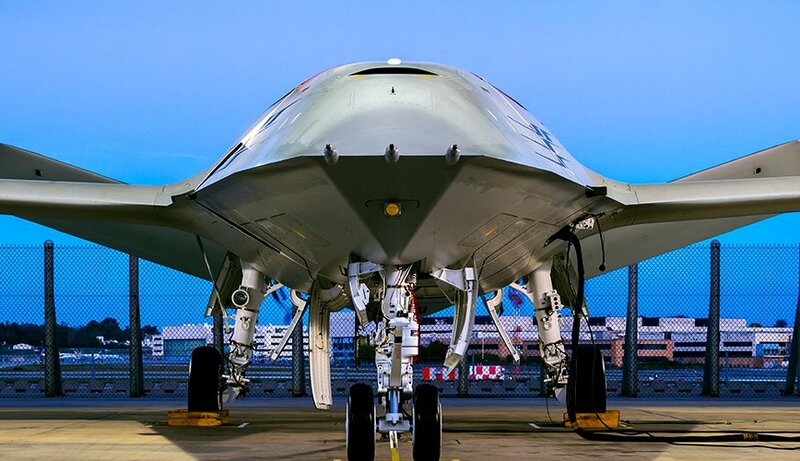 The system is capable of recovering aircraft up to 1,100 pounds, exceeding DARPA’s design objectives. 11 January 2017 - Textron Systems Unmanned Systems announced today that it began on-water testing for the fourth-generation Common Unmanned Surface Vehicle (CUSV™), supporting the U.S. Navy's Unmanned Influence Sweep System (UISS) program. 9 January 2017 - The Department of Defense's Strategic Capabilities Office, partnering with Naval Air Systems Command, successfully demonstrated one of the world’s largest micro-drone swarms at China Lake, California. The test, conducted in October 2016 consisted of 103 Perdix drones launched from three F/A-18 Super Hornets. The micro-drones demonstrated advanced swarm behaviors such as collective decision-making, adaptive formation flying, and self-healing. 16 December 2016 - On December 15th 2016, the Chinese Navy seized an American unmanned underwater vehicle (UUV) operating in international waters off the Western coast of the Philippines. 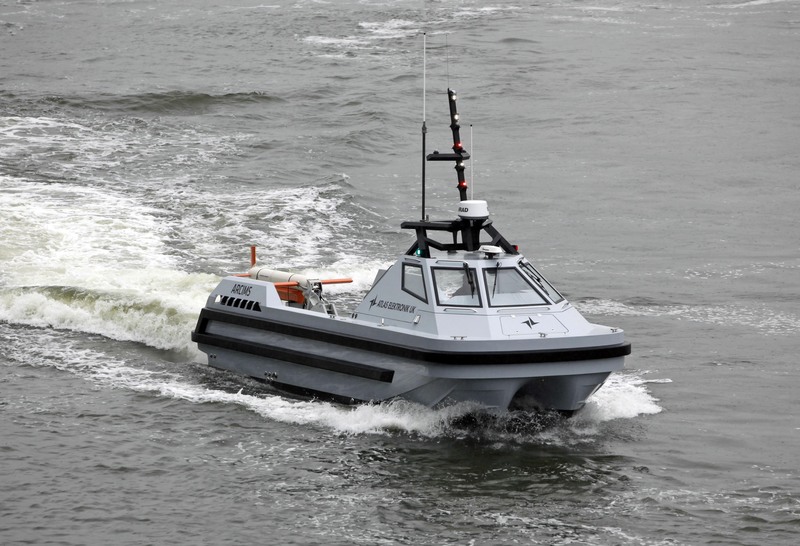 14 December 2016 — Autonomous unmanned swarming boats were put through their paces in a recent demonstration in the lower Chesapeake Bay—with results that show dramatic new possibilities for autonomy in future naval missions. 13 December 2016 - After a year of internal research and development, the Johns Hopkins University Applied Physics Laboratory in Laurel, Maryland, recently conducted a large, at-sea demonstration of swarming unmanned surface vessels (USV). 6 December 2016 – Boeing has entered into an agreement to acquire Liquid Robotics, a market leader in autonomous maritime systems and developer of the Wave Glider ocean surface robot, to grow its seabed-to-space autonomous capabilities. 13 November 2016 - Aurora Flight Sciences continues to break ground on the development of advanced autonomous capabilities for vertical take-off and landing (VTOL) systems. Aurora's work on the Autonomous Aerial Cargo Utility System (AACUS) program will be leveraged to integrate the company's Tactical Autonomous Aerial Logistics System (TALOS) on a UH-1H helicopter. 24 October 2016 - DARPA’s Anti-Submarine Warfare (ASW) Continuous Trail Unmanned Vessel (ACTUV) program demonstration vessel is currently undergoing open-water testing off the coast of California and recently set sail with a prototype low-cost, elevated sensor mast developed through the Agency’s Towed Airborne Lift of Naval Systems (TALONS) research effort. 21 October 2016 - DCNS and Airbus Helicopters are joining forces to design the future tactical component of France’s Naval Aerial Drone (Système de Drones Aériens de la Marine – SDAM) program, the VSR700. 20 October 2016 - The Naval Air Systems Command, Patuxent River, Maryland, has awarded Northrop Grumman Systems Corporation, of El Segundo, California, a $35,752,362 cost-plus-fixed-fee contract to conduct risk reduction activities in support of the MQ-25 Unmanned Carrier Aviation Air System. 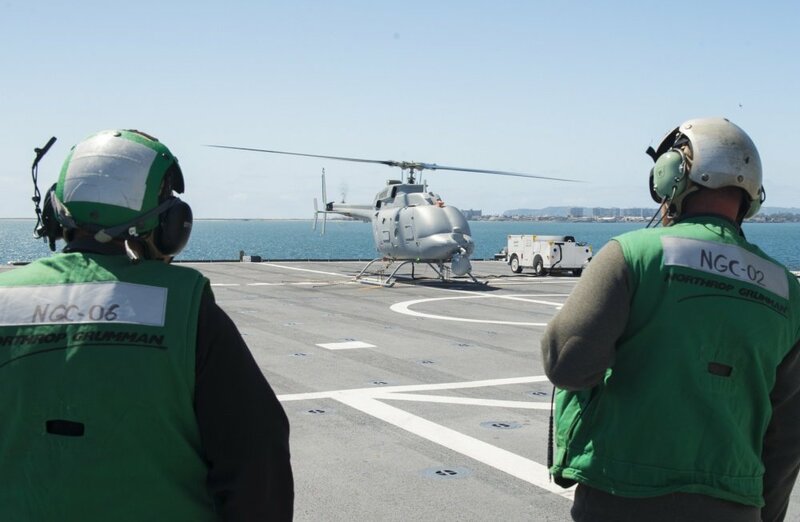 17 October 2016 - Leonardo-Finmeccanica’s Osprey AESA radar has been picked to serve as look-out on-board the US Navy’s newly-upgraded unmanned helicopter, the MQ-8C Fire Scout. 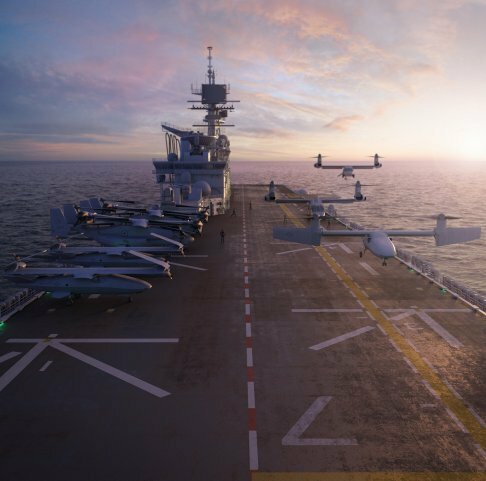 The contract will see Leonardo delivering an initial batch of 5 radars to the US Navy’s procurement organisation, the Naval Air Systems Command (NAVAIR), for testing and evaluation work. 5 October 2016 - The Naval Air Systems Command, Patuxent River, Maryland, has awarded General Atomics Aeronautical Systems, Inc., Poway, California, a $43,736,111 cost-plus-fixed-fee contract to conduct risk reduction activities in support of the MQ-25 Unmanned Carrier Aviation Air System. 28 September 2016 - Lockheed Martin successfully launched Vector Hawk, a small, unmanned aerial vehicle (UAV), on command from the Marlin MK2 autonomous underwater vehicle (AUV) during a cross-domain command and control event hosted by the U.S. Navy. 23 September 2016 - The Department of the Navy announced yesterday that the MQ-4C Triton Unmanned Aircraft System (UAS) received milestone C approval. 22 September 22, 2016 – Speaking before an audience of aviation and military experts assembled at the National Press Club in Washington, D.C., Bell Helicopter, a Textron Inc. today unveiled the Bell V-247 Vigilant tiltrotor. 22 September 2016 - General Dynamics Mission Systems featured the Bluefin Robotics hovering-autonomous underwater vehicle (H-AUV) at OCEANS 2016 in Monterey, California. 16 September 2016 - The Boeing Company, in Huntington Beach, California, has been awarded a $21,885,490 cost-plus-fixed-fee contract for a research project under the Hydra Phase 2 modular unmanned system program. 15 September 2016 - France's ESPADON unmanned mine-hunting demonstration program has successfully concluded. The ESPADON program was a component of the French MoD overarching Système de Lutte Anti-Mines Futur (SLAMF, future mine countermeasures program). 9 September 2016 - The General Dynamics Bluefin-21 autonomous underwater vehicle (AUV) successfully launched multiple Bluefin SandShark™ micro-autonomous underwater vehicles (M-AUV) as part of several capability demonstrations at the U.S. Navy sponsored 2016 Annual Naval Technology Exercises (ANTX) in Newport, Rhode Island. 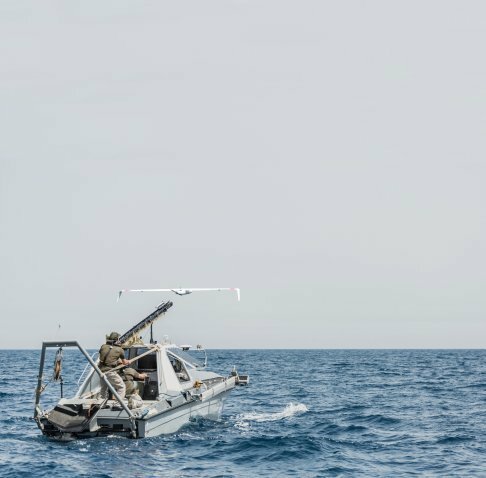 8 September 2016 - AeroVironment, Inc has announced the United States Navy has successfully demonstrated the use of its submarine-launched Blackwing UAV to link with a swarm of unmanned undersea vehicles and communicate with the submarine combat control system during the Annual Naval Technology Exercise (ANTX) on August 16. 7 September 2016 - Liquid Robotics®, the leader in long-duration, unmanned ocean robots, today announced a new business and technology partnership with Maritime Robotics, Norway’s leading system integrator of autonomous maritime systems. 2 September 2016 - Northrop Grumman Corporation will demonstrate its unmanned mine hunting capability during the Royal Navy`s upcoming Unmanned Warrior exercise. 1 September 2016 - SCALABLE Network Technologies, Inc., a producer of wireless network design and optimization tools, announced today that the United States Navy will leverage its EXata simulation software as part of the Forward-Deployed-Energy and Communications Outpost (FDECO) Innovative Naval Prototype (INP) project. 18 August 2016 - Riptide Autonomous Solutions has shipped six Micro-UUVs to the US Navy. The unmanned undersea vehicles are configured with a dry payload volume that will enable rapid payload development and demonstration and allow the Navy to test various new sensor systems with these small flexible vehicles. 18 August 2016 - QinetiQ will provide the UK component of a multinational demonstration of unmanned and autonomous systems under a new contract with the Defence Science and Technology Laboratory (Dstl). Let Naval Drones Produce your Digital Media Promotional Content! Unmanned Systems manufacturers- your digital advertising is increasingly being blocked by millions of your potential customers. Learn how we can help. 16 August 2016 - Elbit Systems has introduced the Skylark C, a waterproof and floating unmanned air vehicle that provides even small vessels a unique organic offoard surveillance capability that can be deployed and retrieved in less than 15 minutes. 1 August 2016 - Swiftships has partnered with ICS Nett Inc. (ICS), a Virginia-based technology solutions company, to continue research and development efforts on the Anaconda, a Special Operation Craft Riverine (SOCR). 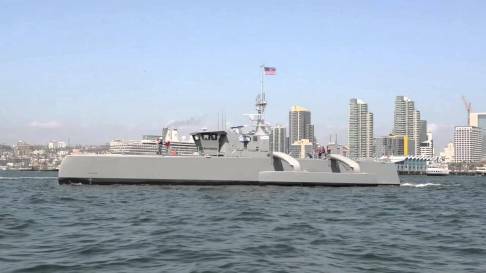 25 July 2016 - Leidos today announced that the Sea Hunter unmanned surface vehicle completed initial performance trials off San Diego, California on June 22nd for Defense Advanced Research Projects Agency (DARPA)'s Anti-Submarine Warfare Continuous Trail Unmanned Vessel (ACTUV) program. 18 July 2016 - Several different Autonomous Surface Vessels (ASVs), Autonomous Underwater Vehicles (AUVs) and Unmanned Aerial Vehicles (UAVs), equipped with different sensors and acoustic payloads, are operating together in the seventh annual edition of REP16-Atlantic exercise, a joint exercise of the Portuguese Navy, the NATO Centre for Maritime Research and Experimentation (CMRE), and the University of Porto. 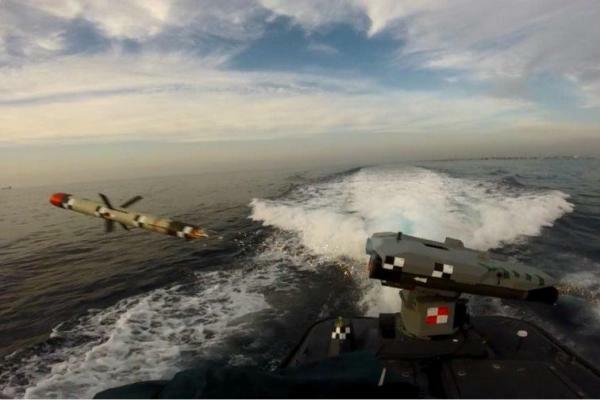 28 June 16 - Elbit Systems Seagull Unmanned Surface Vessel (USV) has successfully test-launched an anti-submarine torpedo in trials off of Haifa, Israel. 24 June 2016 - Sonardyne Asia Pte. Ltd. in Singapore, and its Korean reseller, Insung, have supplied underwater communications equipment to the Korean Research Institute of Ships and Ocean Engineering (KRISO). 7 June 2016 - Boeing recently announced the addition of Echo Voyager to its fleet of unmanned undersea vehicles (UUVs) developed by their research and development division, Phantom Works. Echo Voyager is the largest of the innovative UUV family, joining the Echo Seeker and Echo Ranger. Echo Voyager is capable of operating autonomously at sea for months at a time due to its hybrid rechargeable power system supported by a lithium-ion energy storage solution from Corvus Energy. 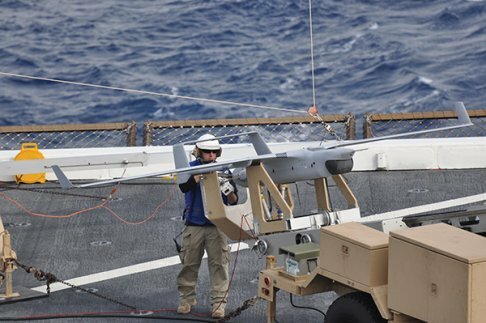 1 June 2016 - The Navy has awarded Insitu a $71.5 million firm fixed price contract to deliver six Lot V RQ-21 Blackjack unmanned air systems. 19 May 2016 - France's Directorate General of Armaments (DGA) has announced a new campaign of flight tests for the NEURON Unmanned Combat Air Vehicle (UCAV) technology demonstrator to include sea trials with the aircraft carrier Charles De Gaulle (R91).